Physics Buzz: What is More Important: Quality or Budget of a Film? 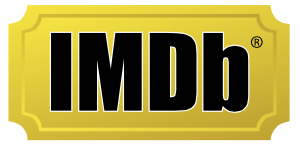 IMDb hosts the largest digital collection of information on films as well as television programs, videos and video games. The way the site works is similar to Wikipedia in that registered users contribute and update all IMDb content. As a result, the millions of ratings and reviews provide a plethora of data for researchers to study relations like the correlation between a film’s popularity and the amount of money Hollywood pours into production. One useful feature of IMDb is its rating metric where users can vote on a scale of 1 to 10. The higher the score, the better the film, according to voters’ opinion. Using this rating scale, the team used the average rating to measure the quality of a film and the number of ratings to measure its prominence, or how well known it is in social circles. With data on budgets, money grossed and IMDb ratings of 28,743 films produced between 1920 and 2011, the researchers discovered that a film’s prominence relates more to the amount of money that went into production than whether viewers found the movie to be good or bad. A film’s prominence is not necessarily synonymous with box office success, the authors write, because films can become well known through other avenues including earning film awards or being infamously bad, like Gigli. Past research indicates that a film’s budget is directly related to a film’s advertising cost and less so with the overall money grossed. Therefore, the team’s results are a logical explanation that budget, and advertising cost by proxy, relates more strongly with a film’s prominence than the money it accumulates from box office success. Interestingly, the researchers found no correlation between a film’s quality, represented by average IMDb rating values, and its budget or money grossed.